Pennsylvania elected its first openly gay state legislator this week. 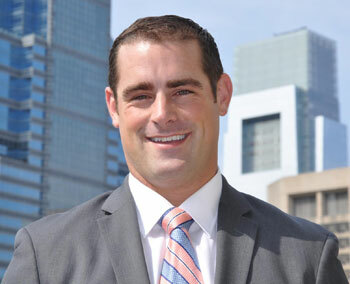 Democrat Brian Sims won his bid to represent the 182nd District in the state House, defeating longtime incumbent Rep. Babette Josephs. Sims will not face a Republican challenger in the fall. As of press time Wednesday, Sims had 3,681 votes to Josephs’ 3,463 — a difference of 218 votes. According to the City Commissioners office, there were two cartridges left to retrieve for the race on Wednesday, which City Commissioner Stephanie Singer said were unlikely to have any votes on them. Sims, an attorney and the former president of Equality Pennsylvania, watched the election returns at Woody’s Tuesday night, where about 150 supporters turned out to cheer him on. Chuck Wolfe, president and CEO of national LGBT political group Victory Fund, which endorsed Sims, said the win is one for all LGBTs in the state. Sims was also endorsed by PGN, Liberty City LGBT Democratic Club and Equality PA. Prior to Tuesday, Pennsylvania was the second-largest state in the nation to never have elected an openly LGBT lawmaker at the state level. In his victory speech at Woody’s, Sims thanked family and friends, campaign staff and volunteers and asked all in the room to give Josephs a round of applause. Josephs, a longtime LGBT ally, was first elected in 1985. Other out candidates were not as successful as Sims. Openly bisexual candidate Fatimah Lorén Muhammad, who sought to challenge incumbent Rep. James Roebuck for the 188th District seat, lost her race, capturing 44 percent of the vote. Out candidate Roy Christ finished second among three other Democrats in his race to fill the vacant 103rd District seat. LGBT ally former Congressman Patrick Murphy, who spearheaded the repeal of “Don’t Ask, Don’t Tell,” was also unsuccessful in the Democratic Attorney General race: He received 47.2 percent of the votes compared to opponent Kathleen Kane’s 52.8 percent. Three out Democratic candidates throughout the state ran unopposed — Chris Dietz (104th Dist. ), Kelly McEntee (105th Dist.) and Jeff Dahlander (111th Dist.) — and all will face incumbent Republicans in the fall. © 2012, Philadelphia Gay News, All Rights Reserved.